Selling a house is way more complicated than it seems to be. You have to take care of every in and out for ensuring a profitable deal. 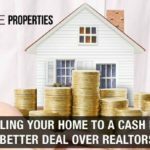 Of course, you’ll decide the price to sell your home but, still, you may fall in the pitfall of hidden costs and lose a handsome amount of money. 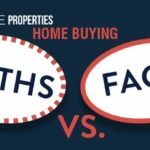 Therefore, before you proceed to put your home for sale, you must be familiar with basic home selling issues and legal ramifications. If you have had taken a mortgage loan for buying a home then, it is crucial for you to pay it off prior thinking of selling the property. Legally, you can’t sell your home without paying your pending mortgage payments. The buyer might sue you for a fraud deal in future. To avoid such complications, we suggest you first complete your loan and then only think of the other way around. There are so many cases filed against homeowners in NY who didn’t settle the property charges and sold the home linearly. However, the law states that you can’t enforce the buyer to pay the property taxes on your behalf. Once you sell your house then only he/she would be responsible for paying property taxes. Similar to the mortgage loan, you must clear out any outstanding property taxes. Since you want to sell the property in NY, you will be subjected to deed transfer tax or realty transfer fee. Most people get confused and consider it as property tax. 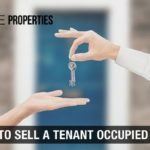 Whereas, it is altogether a different entity that the government levies upon the seller as a part of the home selling process. When the buyer and seller agree on a fair market value of the home, they need to contribute some percentage of it to the government. Its value varies according to the states. For instance, you’re selling the home at $500,000. The government may ask you to pay 1% of the total amount. In another state, they may ask for a 2% share. If you are a member of Homeowner’s Association (HOA) then, you will require an estoppel letter or certificate from their end mentioning you’ve cleared all the pending dues or payments. The letter should include the name of the homeowner, their address, a brief description of the property, and the date of clearance of pending fee along with the authorized signature of HOA board member. Here, both the seller as well as the buyer is liable to pay the default fee. Therefore, speak to the buyer before finalizing the price of your property. Sometimes, what happens is, people, ask for too much money while selling the property and end up disappointed. The reason is quite simple - Nobody will pay according to your expectations. Parameters like your neighborhood, condition of your house, and amenities it hold play a pivotal role in determining the fair market value of the property. Therefore, for deciding a fair market value of your house, you should hire a home inspector. If you don’t have much knowledge about what legalities needs to be done while selling a home, it becomes imperative to contact an attorney counselor. They can help you understand the legal matters involved in selling a house in NY in details. Don’t be stressed about the fees because it is a plus point for you. An experienced attorney will ensure your documents are processed in the correct way. Furthermore, you can impart the perspicacity to your friends and relatives whenever they face a similar situation in the future. In most cases, home sellers expect that the buyers would pay for the repairing and maintenance costs. To be honest, there’s nothing wrong in that. But, when it comes to negotiating the price of the home for sale, homeowners demand a high amount. This practice is not right. 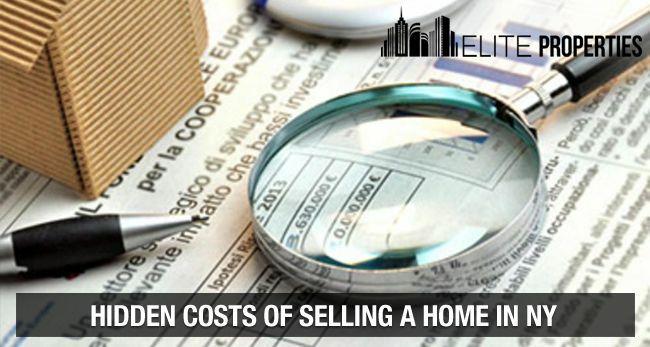 Homeowners should understand that the closing costs are directly proportional to the home selling price. So, as a home seller, if you’re asking for basic repairs, you’ll have to deduct its prices from the final market value of your home. All the above-discussed points fall under the closing costs. One needs to go through the entire process for closing a fair deal. However, if you feel that this procedure is exhausting and byzantine, you can simply contact an experienced real estate agent in NY. From handling the paperwork to listing your property for sale to closing the deal with 100% profitability, they assist you through and through. There are thousands of real estate companies in NY who claim to close the deal within a few days. Howbeit, that’s just an advertising gimmick. 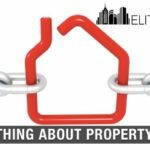 Don’t fall in the honey trap of fraudster real estate firms and choose a reliable and trustworthy real estate company like ‘Elite Properties’. After serving in New York for almost a decade, ‘Elite Properties’ is counted among the top-notch real estate facilitators in New York. Transparency is the main feature that drives their business. Therefore, you can approach their team for a hassle-free home selling experience in NYC. 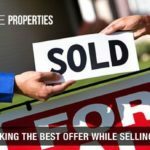 A crystal-clear communication with the buyer and maintaining a fair practice in terms of fulfilling necessary legalities is the key to getting a favorable home selling deal. Furthermore, the guidance of an experienced real estate company such as ‘Elite Properties’ can also prove fruitful. Take your time and decide your plan of action. We wish you all the success.